We’ve been reading the Baymard Institute’s latest eCommerce Usability Research which dropped the bombshell that the average checkout flow has 14.88 form fields – twice as many as necessary. In light of this, we’re going to share with you their key findings on how to reduce checkout process and we’ll be sharing with you examples of the retailers we think are doing it best. So let’s get down to the research first of all. As you can see, the main reason people abandon ship during the checkout process is because they’re obligated to make an account. That can be easily solved – don’t make them. 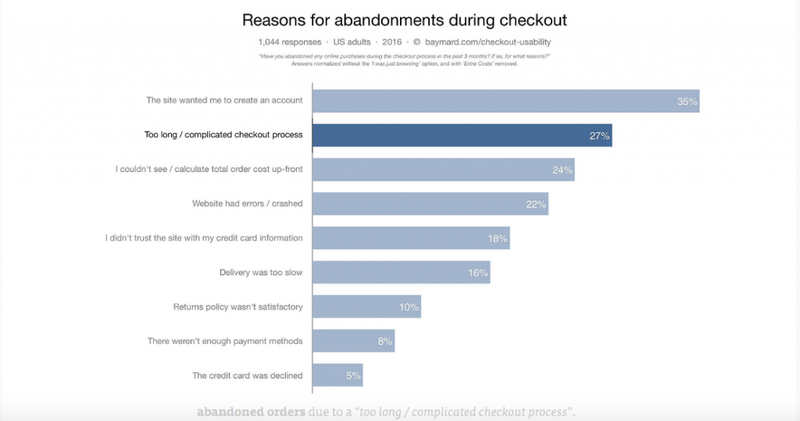 But the second bar shows that 27% of users have abandoned their orders due to a “too long/ too complicated checkout process”. 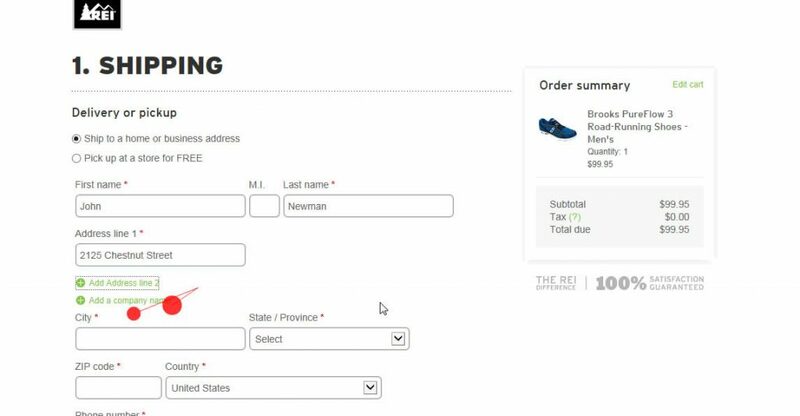 In short, their latest checkout usability study finds that the average checkout contains 14.88 form fields – twice as many as needed and yet their checkout usability testing shows that most sites can reduce these forms by 20-60% in three simple steps. Most business-to-consumer sites offer a number of address fields that only a small number of the users need, but can’t be removed entirely just incase. The two most common examples of these are “Address Line 2” and “Company Name”. Baymard realised that by adding in “Address Line 2” it can cause confusion and have the user second guessing what the first line of their address might be. By collapsing “Address Line 2” and “Company Name” behind a text link, they are concealed from view but are available for the select few who might be looking for it. The same goes for “Company Name”. So who else is doing this right? Now, we add this in because it goes one step further than just hiding the “Address Line 2”. This part of the checkout allows you to put in your postcode and find the address instead. Of course, the option to manually input is still there. This is another example of the “Find Address” feature in use. Another way to reduce checkout process is to use a single “Full Name” field instead of “First Name”, “Middle Name” and “Surname”. Doing this has multiple benefits. The first benefit is that it aligns better with how users think of their name. Users tend to think of their name all in one go rather than in segments, so people end up entering their full name in the “First Name” field. Which as you can see in the gif above, causes them to have to go back and retype it. Boo. Here you can see a prime example of the “Billing Address” as “Delivery Address” sample we’re on about. The interesting thing about New Look is in the original steps of the checkout process. 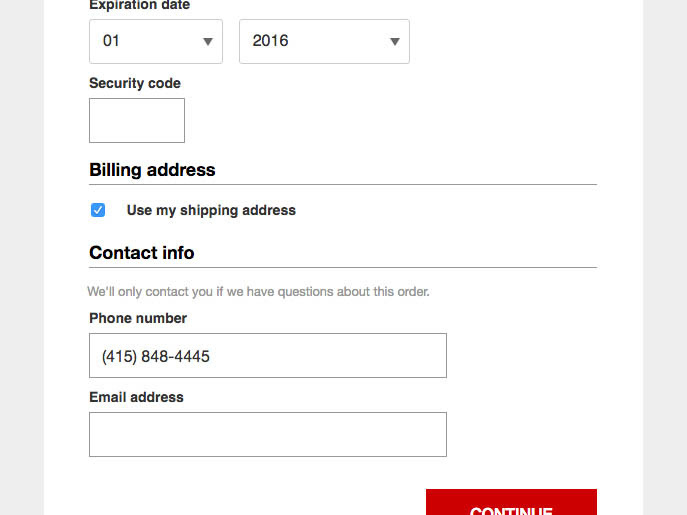 They require you to put in your delivery address first, then when you proceed to payment, by default your delivery address is made to be the that of the billing, and you have the option to input billing address manually. For those consumers who take steps as they come, this is good practice. Aren’t our conversion optimisation resources just the best? Get more – you deserve it. You'll find her incanting spirits from the upside down, or chasing her cats around town.